Ladies, I have a special treat for you today! One of the greatest blessings of this past year has been connecting with other female Christian writers. Since becoming a regular contributor to Her.meneutics, I have grown to love and admire the other regular contributors (among whom I am the LEAST impressive!). Each one has a special message that God has given her to share, so I hope you will pay attention to them! As these new friendships have grown, I realized it is silly not to share the incredible writing that they are producing, so I have decided to begin featuring their new books on She Worships. In doing so, I hope to provide you with additional resources that are not only BRAND NEW (ie. cutting edge–Now you can be one of the cool kids who gets to say, “Oh I read that book way before it became a New York Times Bestseller!”) but also spiritually solid. 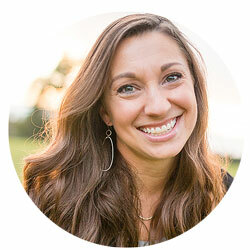 With that in mind, it is my privilege to introduce you to Amy Julia Becker, who just released her memoir titled A Good and Perfect Gift: Faith, Expectations, and a Little Girl Named Penny. Amy Julia’s daughter, Penny, was born with Down syndrome and this book recounts the details of Penny’s first year of life. A Princeton grad, Amy Julia is as sharp as a tack but she also writes with power, emotion and careful theological reflection. Her book is already garnering a LOT of praise, and I should also add that her last book, Penelope Ayers: A Memoir, was among Andy Crouch’s favorite books in 2009. Today I am posting Part 1 (Part 2 to follow) of an excerpt from Amy Julia’s book. These two excerpts give us a window into the happenings of Amy Julia’s life two days after Penny was born. I know you will find yourself both moved and challenged by her words, so keep your eyes peeled for Part 2 of this excerpt from A Good and Perfect Gift. Everyone in my family was due to return that day. Kate arrived first, her long blonde hair swept back in a ponytail, no makeup, red eyes. Suddenly I felt like an older sister again, as she brushed away another tear with the back of her hand. I stood to greet her with a long hug. “Better,” I said, realizing as I spoke that it was true. I hadn’t cried much the day before. Those hours had held a frightening calm, like the eye of a hurricane. It was different now. The calm felt peaceful, not ominous. “I think we’re going to be fine. I’m starting to learn about Down syndrome—” I motioned to the papers nearby—“and Peter’s doing a lot better . . .” I trailed off. I shrugged. Kate knew me well enough to understand that I had to think for a while before I would be able to feel much of anything. More tears would come, and probably some anger and hurt and guilt and fear. I could predict the emotions, but I couldn’t access them. For now, I had to work it out in my head. I had to construct a plan. And I needed some answers. Some of my questions were practical. The pediatrician had said Penny would need physical therapy—How do we set that up? Will insurance pay for it? And I wanted to meet all the other Downs babies—or, as the information packet would have it, babies with Down syndrome—in the area. Where were they? And then there were the health concerns. How would we find the right doctors? Who would check her hearing and her eyesight and everything else? There was another set of questions, questions that weren’t so easily answered by phone calls or a reference book. I hadn’t realized it until we received Penny’s diagnosis, but I had come into the hospital with a grid that ordered my sense of how the world worked. I believed that all people were created in the image of God, that every human being bore the mark of God’s goodness and light. But I also believed that everything that went wrong in the world was a consequence of sin. I didn’t think that God was doling out tornados or cancer or malaria as punishment for us doing bad things or something like that. I just believed that ultimately all the pain and injustice in the world could be traced back, somehow, to the human refusal to love God. The first human choice of self over God sent suffering and discord everywhere, like a fault line tearing through the universe. Before Penny was born, I would have assumed that an extra chromosome was just that, a crack in the cosmos, evidence of the fractured nature of all creation. But how could I imagine such a thing about my daughter? I couldn’t figure it out. Just the title alone says so much… faith and expectations. So often one throws off the other. Will definitely be picking this one up. I would absolutely LOVE the chance to read this book. As I have a heart for the developmentally disabled, I would love to see how a Christian woman battles the fact of having a child who has a disability. I was so happy to come across your Xanga posting. What a wonderful womanship I shall call it. I have signed up, subscribing and will go on your site and request you add me as a subscriber. Thank you so much. This comes a a perfect (always is, right?) time for me. I am need of ‘soul food’ and Bless You for providing me this.